Hoof Guard seals nail holes and small cracks in the hoof wall preventing harmful bacteria from entering. 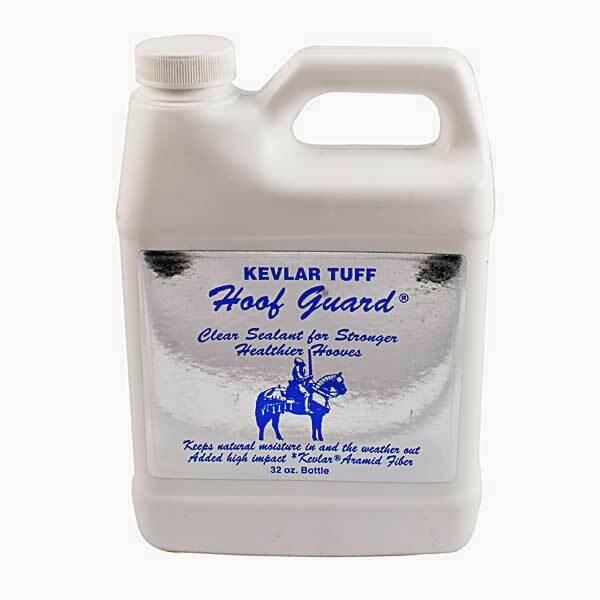 Hoof Guard keeps in natural moisture helping to prevent dry brittle hooves. 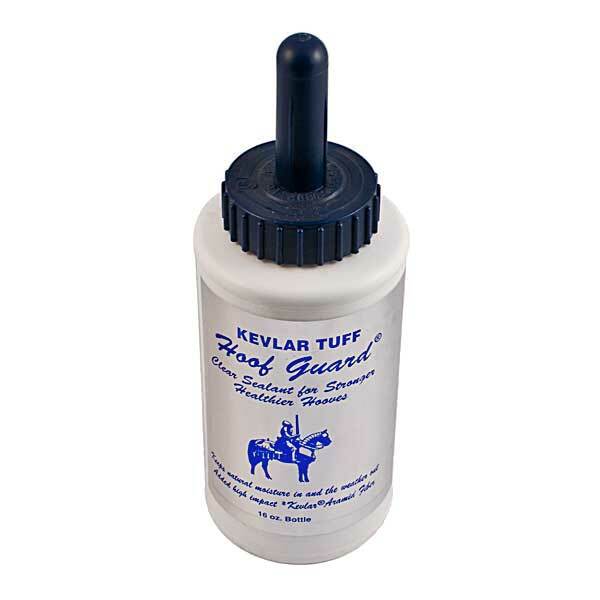 The same Kevlar that is in bullet proof vest protects and strengthens the hoof.